Ever since IT technology became more advanced, protection of data has been a major concern. The data protection is required to every personal and business body that look forward to keeping several information to itself. However, recent hacks and data breach incidents revealed that data kept stored on your computer or hard-drive is no longer safe if it’s easily accessible. This is when the data encryption comes to the picture. While talking about data encryption, it is important for you to know that the protected data may be lost forever if you happen to forget or lose the password to someone else. It is highly recommended to set your backup ready for situations like this. 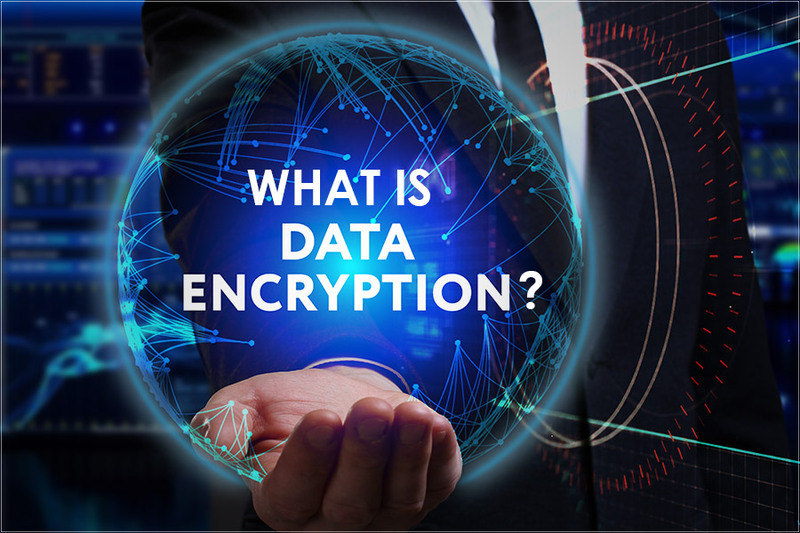 Today, we’re going to help you with a brief introduction to Data Encryption, its process and the types of data encryption. 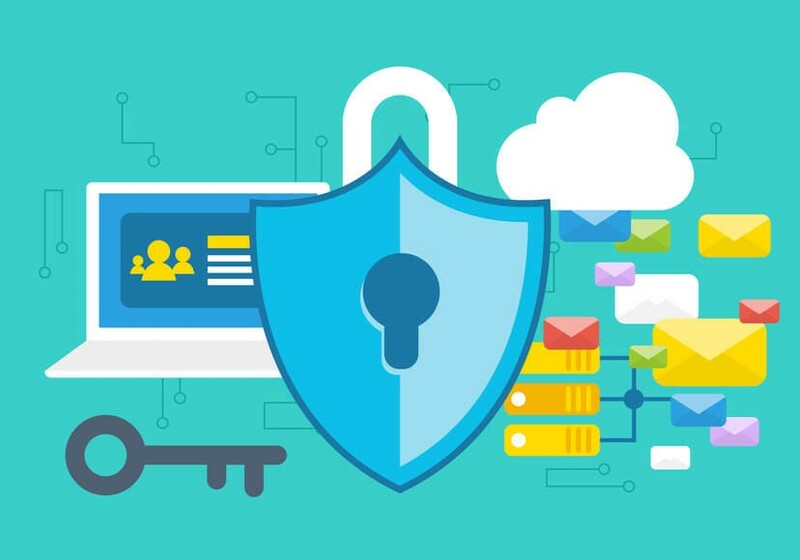 Data Encryption is a security method that translates data into a secure form such as a code which a user can access by using either password or secret keys. This method is called a decryption key. Encrypted data is referred to ciphertext, and the unencrypted data is known as plaintext. Presently, encryption is one of the best and famous data security methods used by businesses. In other words, Encryption can be defined as a method of hiding information that is readable into a format that can’t be read. Encryption is used for various things but most importantly it is used to transfer information safely. So, let’s talk more about encryption, types of encryption. Data encryption can be performed by using a few steps. The data normally uses the mathematical formula for encryption which is known as an algorithm. This method converts the normal data into the encrypted. The algorithms generate a key and password protect the data with the same key. 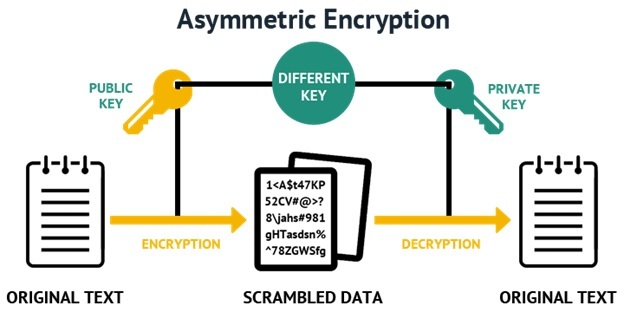 Data Encryption can further be divided into two types: One being asymmetric encryption also called public-key encryption and the other one is a symmetric encryption. Must Read : Why Is It Challenging To Secure Data In A BYOD Era? 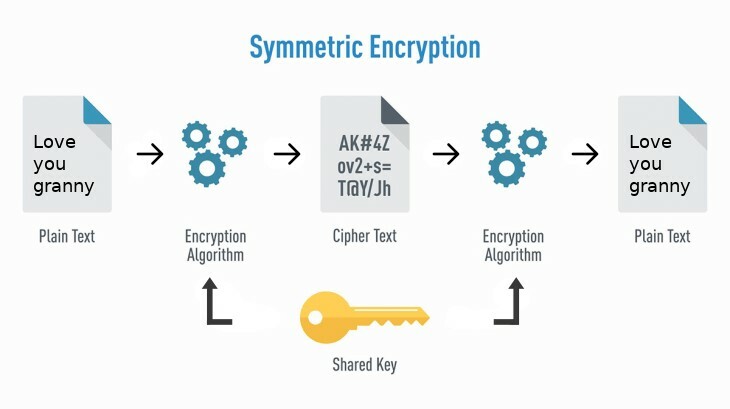 Symmetric encryption is private Key encryption which encrypts the data using the secret key which is shared by both communicating parties. The key ensures the data is protected and only accessed by the respective parties. The party send a secure and secret key which is a mathematical operation to encrypt simple text to cipher text. The receiving party apply the same secret key to access the data which is called decrypt. Symmetric Encryption works on the RSA RC4 algorithm that contains the basis for Microsoft Point-to-Point Encryption, the International Data Encryption Algorithm, Data Encryption Standard. Decryption Algorithm is part of the encryption algorithm which is performed vice-versa. It works with ciphertext along with the secret key to originate the message. It is a simple text message on which an algorithm is put on. Secret Key is an input for the algorithm which easily identifies them as the outcome of encrypted data. Cipher text is an encrypted or scrambled text that generated by putting the algorithm to the plaintext message with the help of the secret key. It works on mathematical operations to get the substitutions and alterations to the basic text. Also Read : Is Government and Military Data Safe From Cyber Attacks? Asymmetric Encryption also is known as public key encryption. In this encryption, two mathematically related keys are used. One encrypts the messages and other one decrypts it. These two keys make a pair. Public Key Encryption stores data encryption and validation of both parties’ identities. It is said to be safer than symmetric encryption, however, is slower in terms of computation. Text to which algorithm is applied. Pair of Keys, one is used for encryption and another one is for decryption. Generates ciphertext and matching the key to getting plain text. How Does Encryption Work In Asymmetric Encryption? Step 1: Encryption starts by changing the text into pre-hash code. The code is generated by a mathematical formula. Step 2: Then, this pre-hash code is encrypted by the software with the help of the sender’s private key. Step 3: Now using the algorithm by the software, a private key would be generated. Step 4: The message and encrypted pre-hash code are encrypted again utilizing the sender’s private key. Step 5: Now, the sender of the message needs to recover public key of the recipient. Step 6: Last step is to encrypt secret key with the recipient’s public key so that only recipient could decrypt it using the private key. How Does Decryption Work in Asymmetric Encryption? Step 1: The receiver needs to use the private key for the decryption. Step 2: Need both secret key and private key to decipher the encrypted codes and to get the hands on the encrypted information. Step 3: The receiver recovers the sender’s public key which is essential to decrypt the pre-hash code. The public key is important to confirm the identity of senders. Step 4: Receiver creates a post-hash code. In case, the pos~-hash code is similar pre-hash code, then it verifies the data hasn’t been modified. When you are encrypting your data then you need to ensure the shared secret and private key is not shared with anyone else. The method of sharing keys must be secure and from trusted sources.